What is Aero and How to Use It In Windows 7. 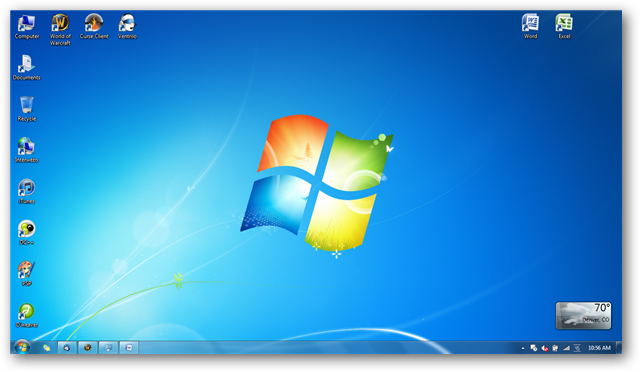 One of the quickest ways you can make any computer running Windows 7 your own is to customize the desktop theme. If you are using Windows 7 Home Premium, Professional, Ultimate or Enterprise, you have access to an extra theme called Aero. Windows actually calls this the “Aero Desktop Experience.” The Aero Desktop Experience is a combination of glass-like visual effects, widgets and color schemes that make the desktop unique compared to how other themes are implemented. Aero utilizes several features of Windows 7 to make it even more of an experience. These features include Peek, Shake and Widgets. Peek allows you to take a sneak peek of any window minimized to the taskbar. This allows you to see what is going on in a window without actually opening it up all the way. Shake lets you focus in on one window, literally shake it with your mouse to close everything else and take you to the desktop with that one window in focus. Widgets, or Desktop Gadgets, allow you to add everything from clocks, to RSS feeds to the latest headlines right on your desktop. We will be covering all three of those features in their own articles soon. If you scroll down your list of themes, you will see each one has a small preview of it. There will be a header called “Aero.” This is where you will a variety of Windows 7 themes based around the Aero desktop experience. 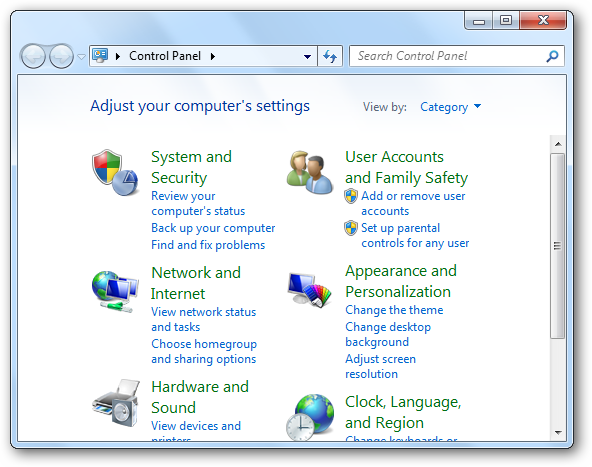 If you click on the Windows 7 Aero theme, it will automatically change the settings for your system without you have to confirm the changes like older versions made you do. You can also choose any of the other pre-installed Aero themes to use as well. Windows 7 comes with a handful of ones to choose from, but you can visit Microsoft’s web site or our own Windows 7 Themes Gallery to pick more Aero themes to use based on your interests. Once Aero is live, you can opt to customize certain settings to make it more your own. 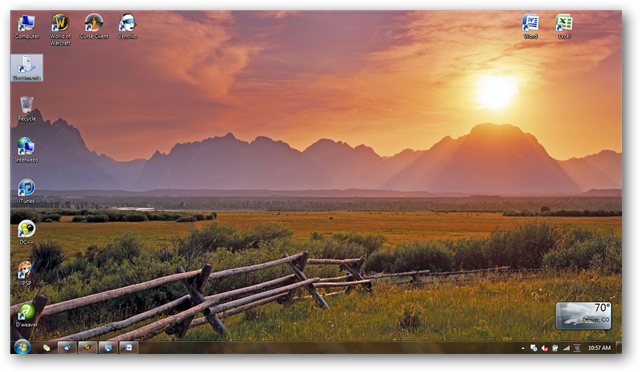 The first setting you can change is the desktop background. Click on the “Desktop Background” link. The default for Aero is called Harmony. It’s the Windows logo. When you click you will be given a list of all the pre-installed wallpapers on your computer. You can click on “Browse” to add new ones or choose your own. At the bottom of the settings screen, you can choose how the wallpaper fills the screen. 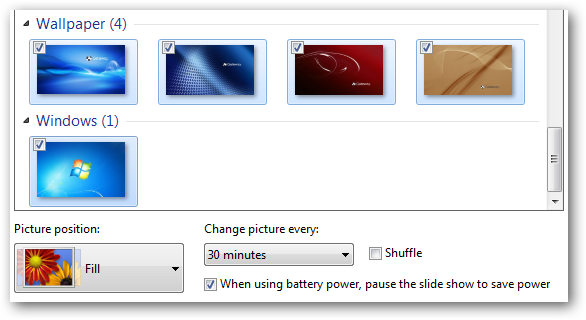 If you are using multiple pictures as many of the new Windows 7 themes do, you can choose the frequency of how they change. 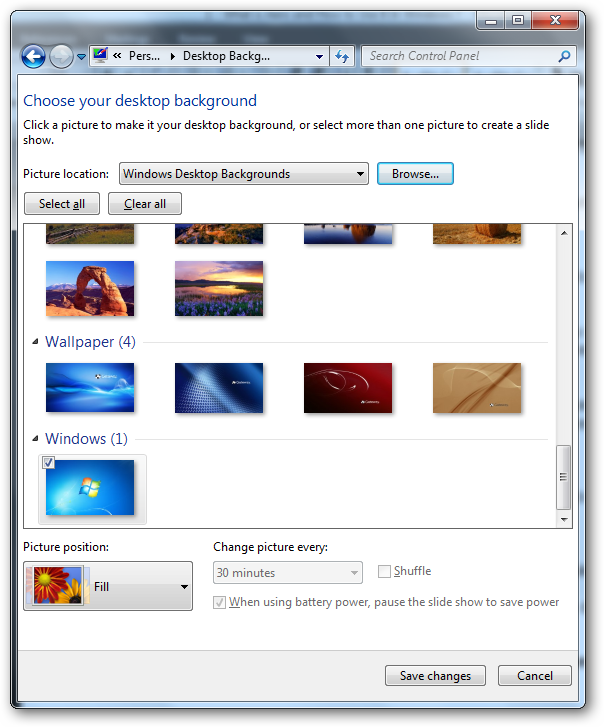 In order to enable this feature, you want to click the checkbox on multiple wallpapers. From there, you can choose the frequency of how often it changes for you. Once your settings are saved, you can click the “Back” arrow in the window to go back to the settings. 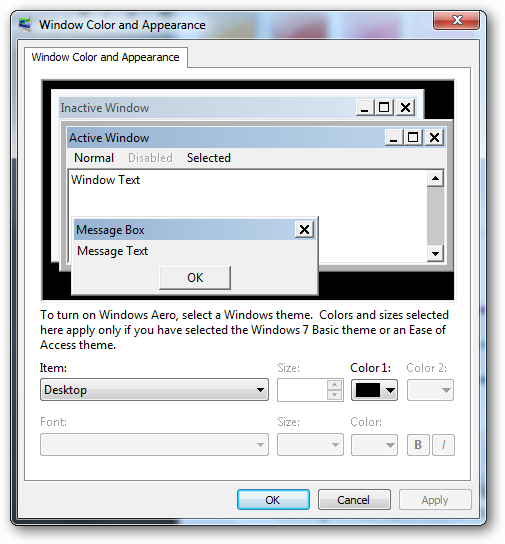 Click on “Window Color.” This will allow you to change the basic window colors of the Aero theme. 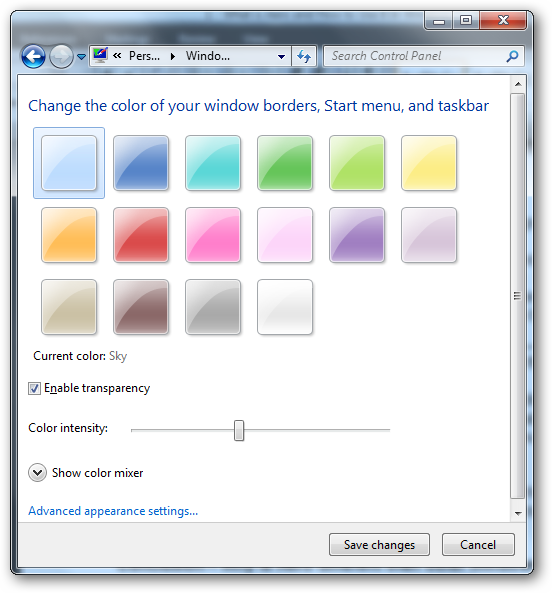 You can now pick which color from a variety of soft colors you want to use for Windows 7. You can turn on or off the transparency feature of Aero here, you can also tinker with the brightness, darkness and other features of each color. 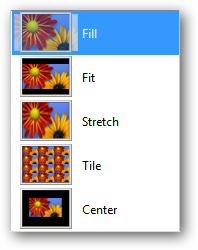 The “Advanced appearance settings” link will give you the options to choose the coloring for each type of window you use on your computer. You want to hit the “Back” arrow again to head back to the settings. The Sounds settings should only be played with when you install a custom theme, never for when you are using the Aero theme unless you really want to change the system sounds. However, the sounds that play with Aero are the ones meant to go with the theme. You can now click the “Screensaver” link. This will let you change the settings related to your screensaver. By default, the Aero theme does not come with a pre-installed screensaver. You can now pick a custom screensaver, change the settings and make it work for how you use your computer. When you are done, click “Apply” and then “Ok” to exit the screensaver settings. You have now finished setting up Aero to make it your own. Is Aero worth using as your Windows 7 theme? 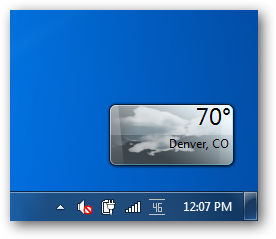 If you have not played around with how Windows 7 themes work, you may not understand why Aero is considered by Microsoft to be a “desktop experience.” When Aero is combined with other Windows 7 features, such as Peek and Shake, along with various Widgets, it truly becomes your own desktop. Windows 7 wants you to take the base of a theme and customize it in such a way that only you would recognize, use and enjoy. Windows 7 Aero allows you to do just that while taking advantage of some really cool features built-in to the operating system. If you have not seen how smoothly Aero works and what you can do with, what are you waiting for? 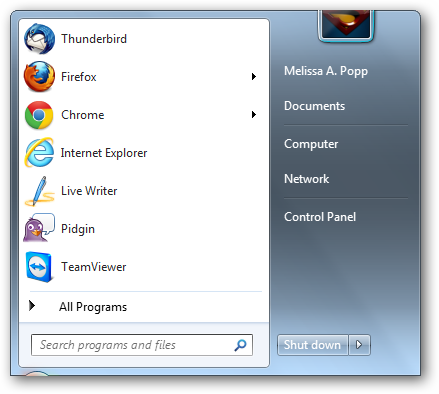 Give Windows 7 Aero a try today, take the time to customize it and let us know what you think.